Southern California lends for a warm Christmas day. It is suppose to be upper 70s with sun. This can make it tough to get into the holiday spirit. So, to get my spirits up, I enjoy baking cookies with my daughter. 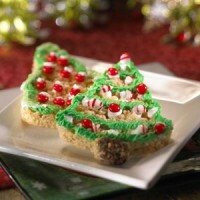 For this menu, I chose to share my favorite holiday cookies recipes – tried and true – I know they work. 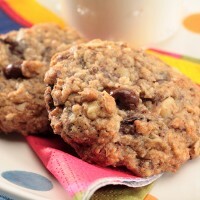 Oatmeal Raisin Walnut Cookies – who doesn’t love a batch of these cookies?! 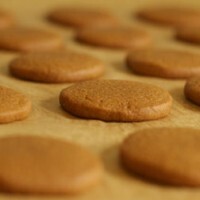 Ginger Cookies – this is a first for me. 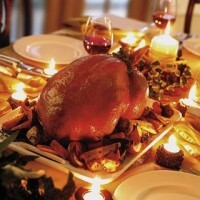 I decided that I am going to make a batch for my mother for when she comes over on Christmas day. 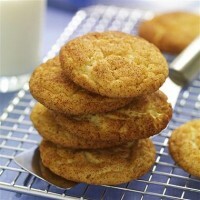 It’s always been a favorite cookie of hers. Rice Krispies Treats – Another favorite treat! You have to use Jet-puffed marshmallows and the Trademark Rice Krispies – no subs! Have a very Merry Holiday! 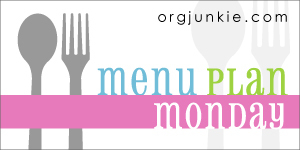 For more great recipes, visit Orgjunkie.com Meal Plan Menu. This entry was posted in The Daily Grind and tagged Menu Plan on 2009-12-20 by Christine. We’re from San Diego so I know what you mean about the warm Christmas. It took me awhile to get used to it but after years of shoveling snow in Maine I learned to love it! You have a delicious menu planned! I’m so glad that my husband isn’t working on Christmas Eve and Christmas. He really needs the days off. This is the best family Christmas gift! Here’s wishing you and yours a Merry Christmas! Definitely need a sweet tooth for this week’s menu! But Christmas day…. yum! My husband is off to get the ham right now. And I’d be happy to stop by your blog. Merry Christmas to you and yours, too! That’s okay, I didn’t post until last night. I feel like I am going to be a huge by the end of the holiday season with all this baking. LOL. You can’t eat what?!?!?! Poor, dear. Are you starving? Thank you for sharing your recipes. I love lemon… mmmm… and raspberry. I would hate to bake and not be able to eat it! So, do you have any idea how the lemon tastes with the lavendar? Of course pound cake has tons of sugar. Hmmm… never baked with Lavendar. Tip: I was told instead of coating your pan with flour when baking a pound cake, use sugar. It works wonderfully. I am so glad you stopped by! Annie, I hope both you and D have a Wonderful Christmas! wow – did you take those pictures yourself, it looks delish!! We finally have snow for Christmas!!!! 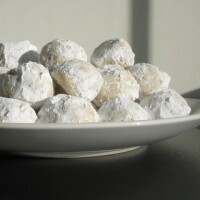 I LOVE the Russian Tea Cookies…I’ll be making those and the rice krispie treats as well as sugar cookies! Not too much, because unfortunately I eat them! Hope you have a wonderful Christmas!!! I saw that! Beautiful pictures! I can’t imagine. This Saturday we had 80 degree weather! My daughter was wearing a tank top and a jean skirt with flip flops. LOL. I know… ‘LOVE’ is already an understatement. 😉 And they are the simplest to make, too. I forgot to put sugar cookies down too. Where am I going to fit it all in this week’s schedule??? Crazy busy Christmas season. It’s all good. Sharon, you and your family have a wonderful Merry Christmas! The rice crispy treats are really cute. I am hoping to make the Christmas wreaths too. You adorn them with red hots and die the Krispies mixture green. LOL. I bet they are freezing. Least it is cold enough to turn on a heater or light a fire.